Training had been going perfectly. 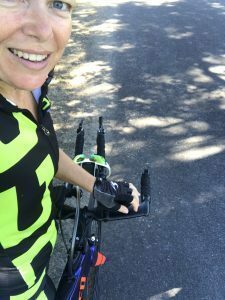 I was loving the challenge of each weekend – the long rides and long runs. My last long session before Challenge Melbourne was amazing. 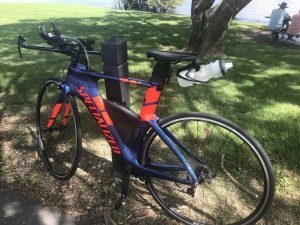 I went out for a 100km bike ride at a zone 2 pace – which is not too easy but not hard. I was expecting the ride to take about 4 hours and I did it in a little under 4 hours, but it felt like about 1 hour. There’s a section of road that is always a bit of a mental challenge for me. I was getting closer to home when I realised I had passed that mental road block and hadn’t even noticed. I have no recollection of passing that section of road. The ride was really good for my mental preparation for Challenge Melbourne. Enjoy the process because that’s what takes the most time – many, many more hours than the actual event. And then I had a 16km run off the bike. Like most of my training it’s an out and back. Most races that I do are out and back, so my training is emulating that. I set off, and the first kilometre is always hard mentally. You know you’ve got a long way to go, but you just have to do it. One step after the other. One foot in front of the other. I was planning on 6:15 pace and would’ve been happy with 6:30 but I was about 5:45. I tried to slow but that didn’t work. And for 16km I felt good. My body felt good. My pace felt good. I stopped and was exhausted – like usual – but still felt good overall for completing the session and doing it pretty well. About an hour later my right shin started to hurt. I had a rest day the next day and didn’t take too much notice of it, didn’t worry about it too much, I just knew that the pain would ease. But it didn’t. It got worse. Tuesday I swam and I could feel the pain when swimming. It felt like I had been kicked in the shins and I was bruised. But there was no kick and there was no bruise. Wednesday I decided not to run, and went for a ride. My shin was still sore and it was getting a red, raised, warm lump on it. Thursday I decided to do something about it. I went to the Physio. I was told not to run and I was shattered. I was feeling so good. So fit, so strong and was really looking forward to giving the race a good crack. 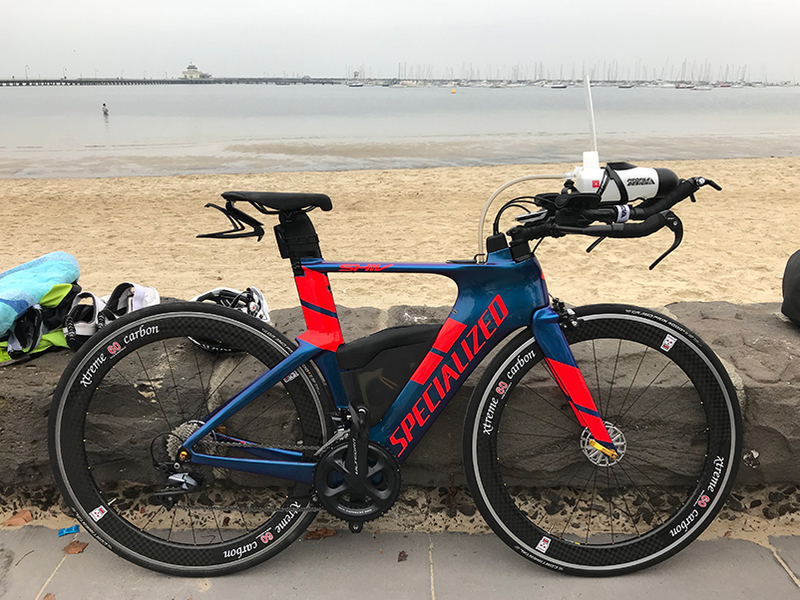 I had already been selected in the Australian long course team and I race so much better when there’s no pressure and I just go out and enjoy myself. I was gutted. And decided to swim hard, ride hard and then pull out. At first that idea was abhorrent to me. Pulling out of a race. I’ve never not finished a race and actually going into it knowing that I wouldn’t finish was hard to fathom. But the upside was I would get to see how well I could go on the bike. New bike, new race wheels, it was all set up and I was ready to ride, so I decided I’d have to be ok with the fact that I wouldn’t run. My Physio suggested checking with a doctor to ensure it wasn’t a clot and that I was ok to fly the next day. I went to the doctor and he said go for it. Run. Do the event. Go hard and do the whole event. Sitting in the chair in his office the elation of competing on the weekend came back, but then I stood up to leave and the pain in my shin reminded me that there is still something wrong. I’m confused. Sitting down I feel strong and fit and ready to take on the race. Standing up I feel like there’s no way I’ll be able to run. I’m sitting on the plane heading to Melbourne, writing this and I’m super excited about Sunday. I’m excited about racing in a wetsuit – I’ve never done that before. 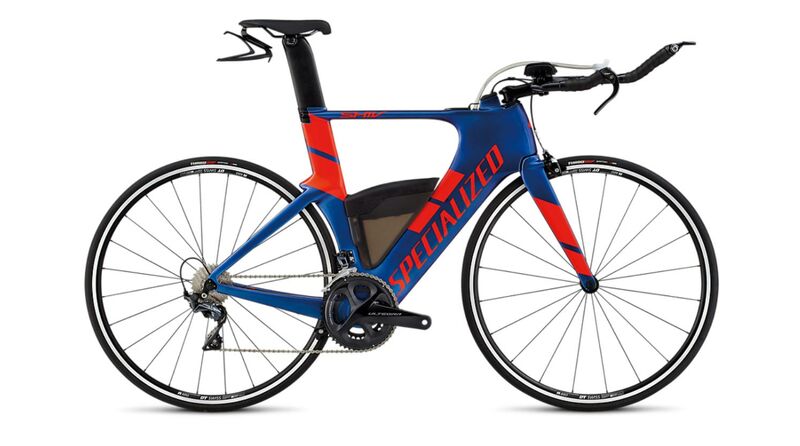 I’m excited about racing my new bike – I’ve never raced a TT bike with race wheels on it before. I’m excited about running – because sitting down there’s no pressure on my shin and it’s not hurting. So let’s just go for it and do it, see what happens. And if that means I’m going to spend the next 2 months deep water running instead of road running then so be it. Enjoy the race and enjoy the weekend away.